Thought I should have something to go with my '38 Hanhart. 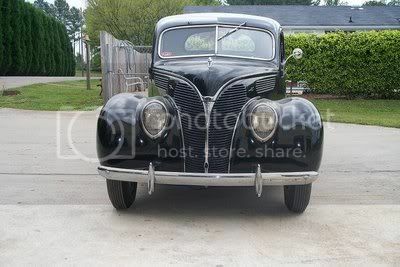 It's a '38 Ford V8 "coop". The car in the photos isn't the actual one I've acquired (which is dark green) but otherwise it's identical. 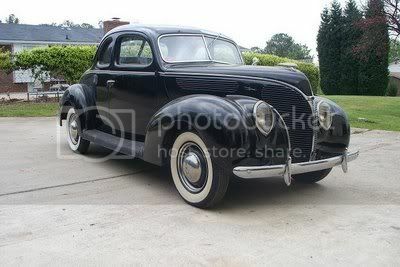 Similar cars appeared in two of my favourite films, "The Rocketeer" and "Raiders". I've been angling after it for a couple of years then yesterday a deal became possible, so I sold my historic racing support car (a '63 Humber Super Snipe estate) to one friend and took this from another. I'll probably paint mine mulberry red and add some discreet cream signwriting on the doors. That's a nice looking car! I met a wonderful guy in Florida two years ago when my family and I were on holiday near Ft. Myers. 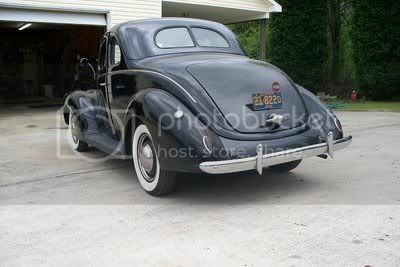 He has this great collection of vintage and classic American cars. Most of them restored (by himself) some others in great original condition. I paid him a visit again last Christmas. He even took me for a spin in one of his Model T Fords. My thoughts exactly on the spares, Menno. Everything is available, quite often NOS too. There's nothing worse than an old car being off the road for weeks or months on end when the weather's good, because you're waiting for a part to be made or found.